As the Counseling Center at the University of Illinois observes, perfectionism is a self-perpetuating circle. Because you have trouble always meeting your unrealistic expectations and ideal of perfection, your self-esteem constantly suffers. Learning new coping strategies will help you frame your experiences in a healthier way so you can still reach for the stars and be happier in doing it. If your perfectionism is making you unhappy, you can take charge and do things every day to make changes that will help you feel happy and build new, healthy behaviors. The University of Texas at Austin lists some suggestions on steps you can take to build healthy coping. You might find that the drawbacks you experience from perfectionism, such as being late often, or family and friends expressing you are overly critical, are too costly. Your striving for perfection in every situation might be self-defeating behavior. You might find that learning to let go of some things will help you achieve more in your life than you ever dreamed. Perfectionistic behaviors and thoughts are very extreme and are often unrealistic for anyone to achieve. These extreme behaviors are what cause stress and unhappiness. Instead of looking for what is lacking, learn to appreciate what has been accomplished. You might always want to do more or see more accomplished, but going through the stress of not being happy with progress is not serving you or the people around you. Do you expect yourself to accomplish one hundred tasks a day and are miserable because you didn't do it? Are you afraid of what people will think of you if you don't accomplish perfection? If this describes you nearly all the time, you might want to think about setting goals that are realistic. Part of this is learning how to prioritize tasks and goals in order of importance. Prioritizing will help you organize your day around the things that are important for you to accomplish. Feeling like you have a mountain to climb every day is a common feeling many people experience. Expecting everything to be completed and perfect, and fearing what people will think of you if you can't, are thoughts and behaviors that are not productive and are what cause you stress. Knowing you at least got the important things done on your list should help you feel happy that you are accomplishing tasks every day and you are doing the best you can do. In setting realistic goals, you'll learn how to accomplish your goals in steps. For instance, if you take up running, starting with a goal of running for two minutes, then increasing your time by a minute, you will be running for a half an hour before you know it, and you will be able to reach your goal in realistic steps and feel happy in your accomplishment. Learn to cultivate patience and kindness when it comes to your thoughts toward yourself. Your own harsh criticisms toward yourself are what cause you stress. When you learn to realistically set goals for yourself and readjust your expectations so you can be happy in your accomplishments, extend this practice toward the people around you. As the International OCD Foundation states, in realizing your perfectionistic tendencies, you need to become aware of the fact that you have trouble organizing and prioritizing. Every little detail of every project seems equally important, when in reality, they aren't. Moreover, realizing that people are not going to criticize you or nothing bad is going to happen to you if you don't meet your own unrealistic goals are key. Procrastination is often the result of the anxious feelings you feel from wanting everything to be perfect. Setting time restrictions for your tasks and getting done what you can will help you accomplish your tasks more efficiently. Prioritizing what you will do during your time and deciding what is truly important to complete the task will help you maintain your schedule. Don't forget to schedule in time to relax, something that people with perfectionistic tendencies often neglect. Prioritizing and scheduling will help you work more efficiently. You will see over time that you will be able to accomplish more in less time, and you will be happy with what you accomplished. Organizing and scheduling takes the worry and anxiety out of accomplishing your goals. When someone points out a mistake or offers a way for you to improve, especially if they offer it in a constructive manner, acknowledge they are not attacking you. Try to remind yourself that they are there to help you. If you accept making mistakes as part of life, you can let go of the fear of making mistakes. This is a large part of perfectionism and a source of a great deal of your stress and anxiety, and it will help you learn to let others in and help you too. Unfortunately, being overly defensive is a learned behavior, and it may be an indication that some unhealthy behaviors were present in your childhood that are interfering in your productivity and your happiness in your present life. It is important that you visit a licensed mental health professional if you feel so overwhelmed with making changes that you cannot do it by yourself. If you have these types of thoughts or feelings, seeing a counselor could help you make strides in changing your outlook and behaviors so you can decrease the stress associated with perfectionism. As the American Psychological Association observes, perfectionism could be one of a few different types of problems. Perfectionism very commonly co-occurs with depression, anxiety, panic attacks, and anorexia. Receiving help for these disorders and your perfectionism is crucial in your road to recovery. 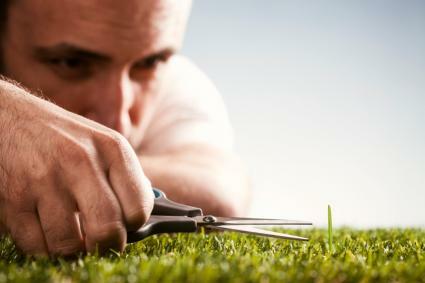 Maladaptive tendencies towards perfectionism is a feature of obsessive compulsive disorder (OCD). However, just because you have perfectionistic tendencies, it does not mean that you have OCD. A qualified professional should be able to help make a differential diagnosis. Even if you are making strides in using self-help techniques, you could explore counseling to boost your results. PsychCentral noted that self-help techniques coupled with therapy is more effective than using either technique alone.